Want to feel like you are part of the royal family? 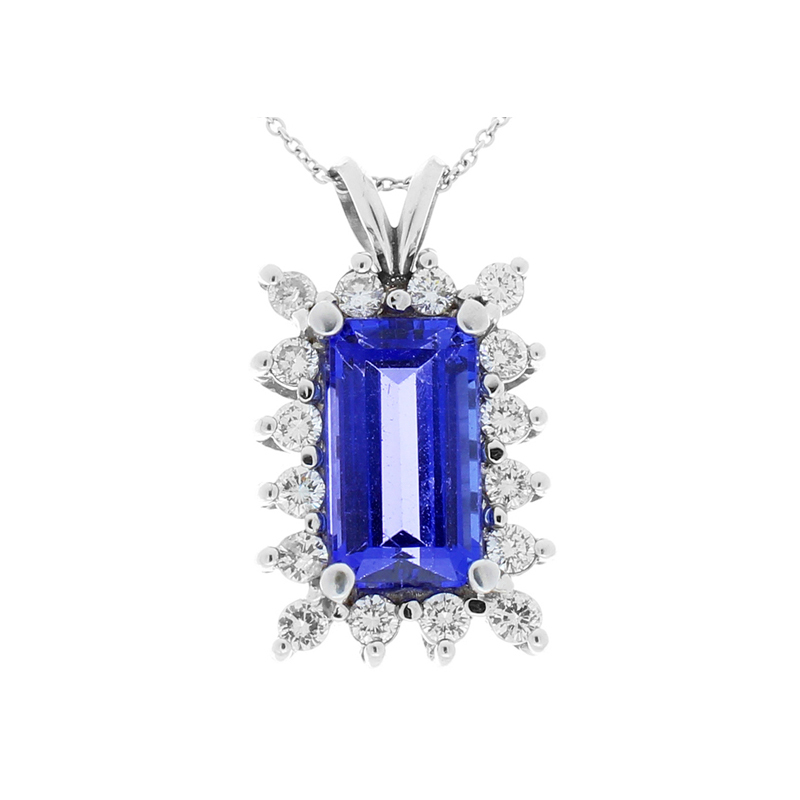 Then this vivid violet-blue, step-cut Tanzanite from the foothills of Mount Kilimanjaro and diamond pendant is for you! Artfully crafted in 14 karat white gold and featuring an exotic emerald cut measuring 13.12x7.32 millimeter, 5.50 carat emerald cut Tanzanite center stone surrounded by a brilliant halo of diamonds. The diamonds are prong set to total 1.10 carats. This unique pendant glides gracefully along the chain via a secure rabbit-ear bail. This pendant accompanies with a 14K, 18-inch bead chain of your choice of Rose gold, White gold, or Yellow gold.